Comments: This is more than just a nice MS63 of our most common VAM. We debated about including it in the toned coin collection and decided once we looked at an enlargement of the rim toning that it deserved a place. The bag marks are right for the grade on both the obverse and reverse. 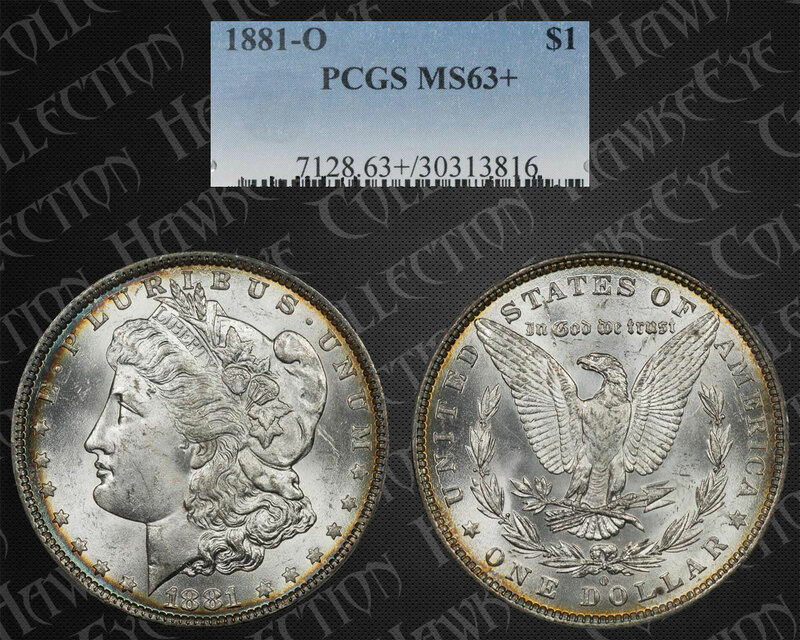 We have not issues with the assessment by PCGS and just think this is a solid coin for the grade. 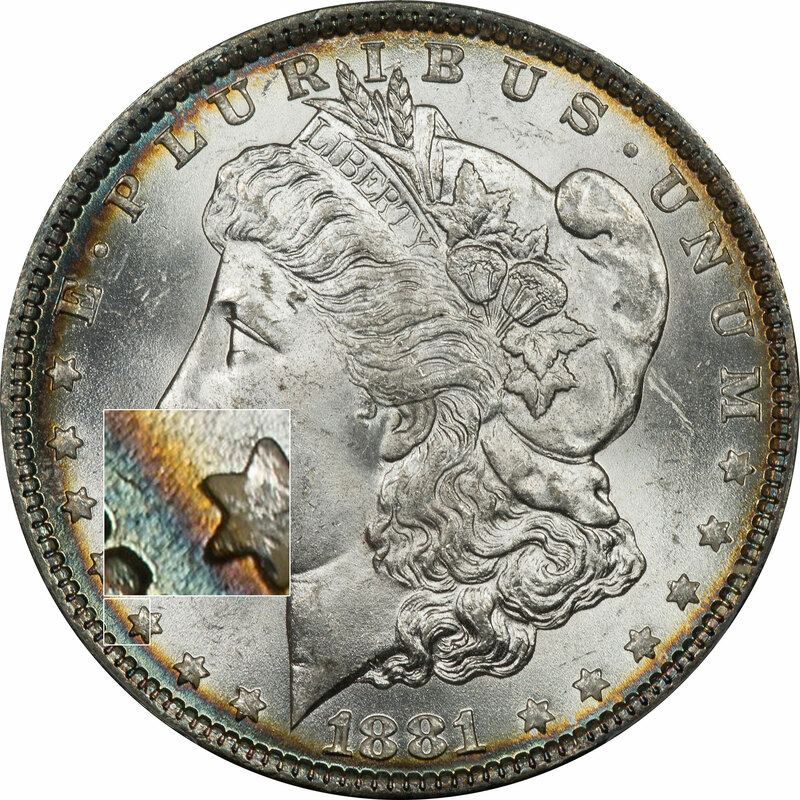 While the color on this coin extends to both sides, it is the obverse that is of interest because it offers a little spectrum. 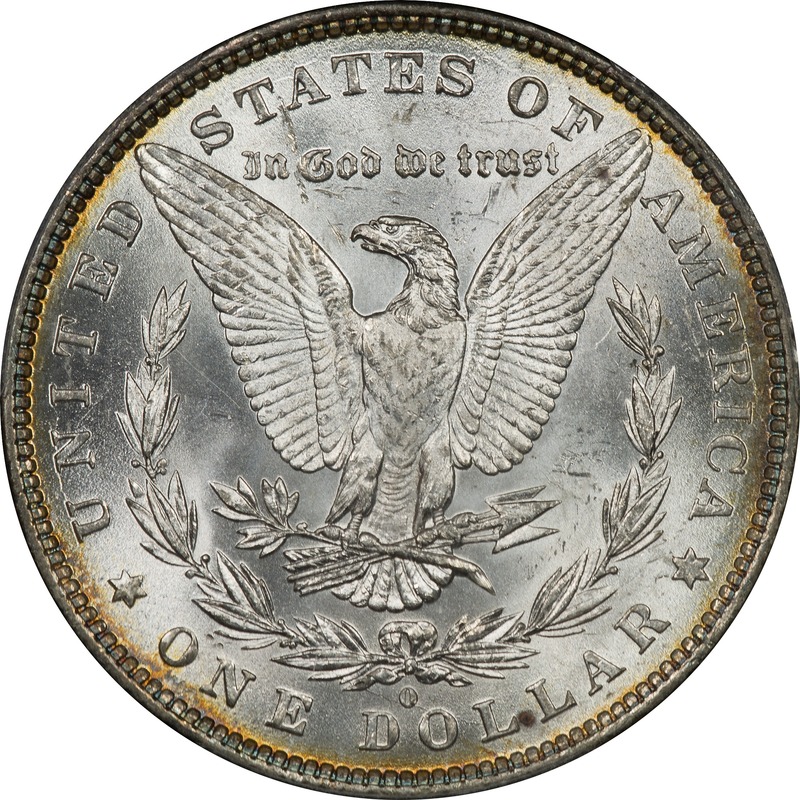 The color originates at the rim and fades toward the device indicating the coin was stored in a coin album or in some other way where the edge of the coin was in constant contact with something that reacted with the silver. The light blue, or cyan, at the rim is in the second cycle of toning. As you work toward the device though, the color moves back toward the first cycle with burgundy, russet, and some lighter yellows. Finally you get out of any toning and back to just the natural silver color of the coin.